In the worldwide race to own more cats, Russia has won. Russians love cats. A February 2017 study by Dalai Research of 43,000 people in 52 countries shows that Russia has more cat owners than any other country. 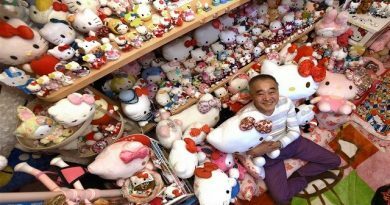 Along with it’s notably bleak outlook, dreary disposition, and meddling in it’s neighbors affairs, this win positions Russia as the world’s foremost “cat lady” country. This shouldn’t be surprising; Russia’s love for cats is well-documented. Since Empress Elizabeth brought cats to the palace in the 1700s, they have lived fairly pampered lives. Well, on-and-off of course, depending on the state of Russia’s economy. And, Russia has seen some tough times. Today, the palace cats live the good life. 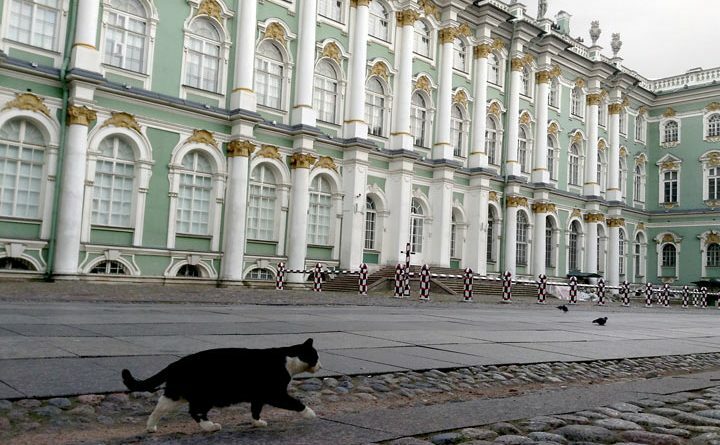 Nearly 70 cats currently live in the palace at St. Petersburg’s Hermitage Museum fulfilling their mousing duties. Sort of. Maria Haltunen, personal assistant to the museum’s director, told The New Yorker that these cats pose no real threat to mice. 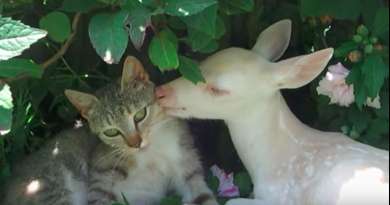 “They are fat and lazy,” she said with pride, noting that a security guard took a picture of a rat drinking milk from one of the bowls while the cat watched with little interest. Perhaps superstition is the reason Russians own so many cats? Russian lore dictates that it is good luck to have a cat walk into to a new home before the humans do. Moscow Cat Museum Director, Andre Abramov said, “Cats have a special place in the Russian household. 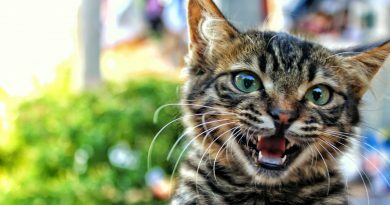 Moving to a new house, it was customary to let the cat in first to ensure a happy and prosperous life.” He also says that owning fat, healthy cats traditionally is a sign of prosperity. The superstition is so strong in fact, a Russian bank, Sberbank, loans cats to mortgage customers so the cats can enter the house first. The video below explains the entire campaign. Of course, there are cats in America and the streets are not paved with cheese.